I recently sat down the Drummers Weekly Groovecast Podcast. We talked drums, drum, ing and church. Worship leaders, drummers, and pastors should check it out! Screaming on Saturday, Singing on Sunday? During my college years, I had three musical gigs outside of school which all involved my vocal cords: church worship, a jazz trio, and my heavy metal band. People asked me all the time how I screamed and growled one night while angelically singing the next morning. I never really had the right answer, until now. Dr. Krzysztof Izdebski of San Francisco’s Pacific Voice and Speech Foundation, reveals his new findings in this video below. Similar to heavy metal singing, leading worship vocally has some unique, admittingly differing peculiarities. 1. For many, it’s the only time they sing. 2. It’s typically happening before noon. For these reasons and others, it’s good to understand how the voice works and how we can maintain it for the long haul. Check out this video about heavy metal singing; the hope to get us thinking about (and visualizing) some science behind our voice. Vocal training is one of the most requested classes when I coach worship teams. 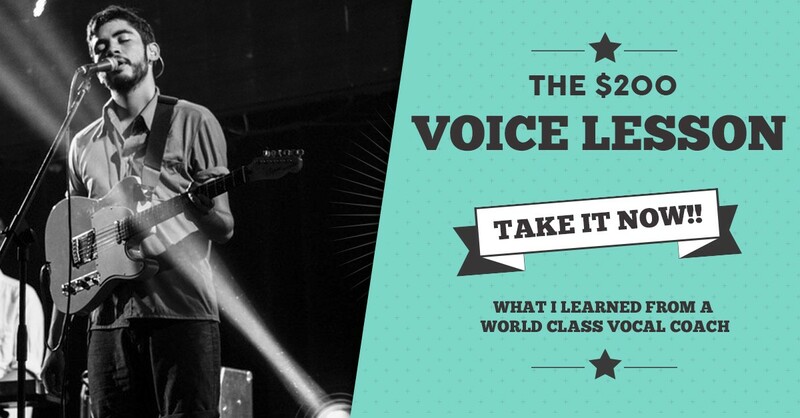 If you haven’t already, download the FREE $200 Vocal Lesson from the sidebar on my website. Worship Leader Bootcamp includes 30+ hours of premier heart, mind, and skill training over 4 days in Nashville, TN June 27-30, 2017. My article “Great Gear for Your Sound Stage” appears in Ministry Tech Magazine this month. You can view the article HERE. Share this resources with your worship leaders and ministry tech teams.